Good Monday to you Steelers’ Fans! I suppose if the NFL moved the Draft up three weeks I’d still complain that it took FOREVER to get here. That said, I still get incredibly impatient and a lot of it probably has to do with the over-saturation of coverage and “hot takes.” The good news is that the Draft is in fact here and it gets rolling Thursday night. 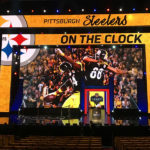 Who are the Steelers drafting you may ask? I’ll let you know with my mock draft later this week but I’ve got it boiled down to one of six guys and my confidence level with that isn’t all that high so… It just goes to show how odd this draft is especially with the Steelers picking so late. Stay up to date with SCB for all the latest. Tweet of the Day #1… How could I not include this? Where are we from? PITTSBURGH, GUENTZELVANIA! ???? Ultimately, the most pressing need the Steelers have is to find a replacement for Ryan Shazier. We already know Shazier won’t play in 2018 and who knows what his future holds so finding his replacement is the top priority in my mind. Here’s where that gets dicey though. If one of the top four linebackers in this draft isn’t there, I don’t see the Steelers reaching. It isn’t like them to do so anyway. They may feel that they can find his replacement in the middle rounds and while that’s certainly possible, it comes with risks. 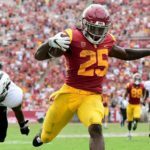 Someone else could is likely targeting the same players and the Steelers don’t exactly have a lot of collateral with which to move up in this draft. This is incredibly fluid right now and regardless, I expect the Steelers to take the “best player available” at 28. Tweet of the Day #2… This is one of the best things I’ve ever seen from a player and I agree 100%. Yinzers better scream their lungs out this year. If you’re really a fan take the same responsibility as the players. I Owned ever loss. If you put “We” she you talk about the Steelers then we hen WE lose it’s your fault too. 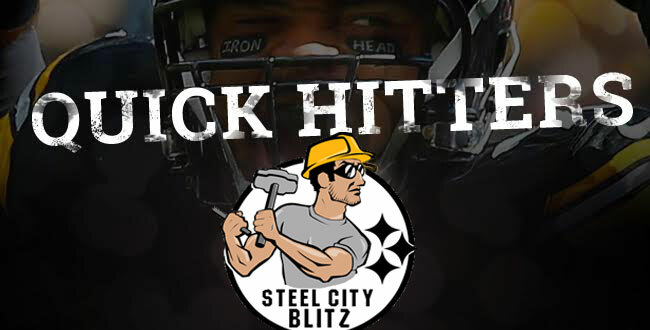 Here’s the latest from Ian on our positional reviews (Safety) ahead of the Draft. Check out Ian’s latest Draft Profile on Notre Dame Wide Receiver Equanimeous St. Brown, or ‘ESB’ as we prefer to call him. If Mason Rudolph, or any other QB for that matter is taken in the first three rounds of this draft, you can expect and absolute firestorm on social media. Book it! Steelers Staff Changes and an Introduction.